Generation C: Is Caffeine the Next Kids’ Health Crisis? American kids are addicted to caffeine and the problem is getting worse. A top heart doctor and father calls on physicians, public health experts and parents to reverse this looming health crisis. Recently my 12-year-old son came home and told us he had an energy drink at a parent-supervised party. We were shocked. Why would parents who would never allow cigarettes or alcohol make caffeine-spiked beverages available to pre-teens? My son said it was no big deal; all of his friends were drinking them after school. Apparently, so are lots of other kids. Over the last 30 years, caffeine intake among children and adolescents has spiked 70%; today two-thirds of children consume caffeine on a daily basis. They get it in soda and energy drinks, of course, but also in a surprising range of stealth products marketed to kids, including candy, chips, gum, lip balm, even sunflower seeds. How much of this substance are our kids getting? 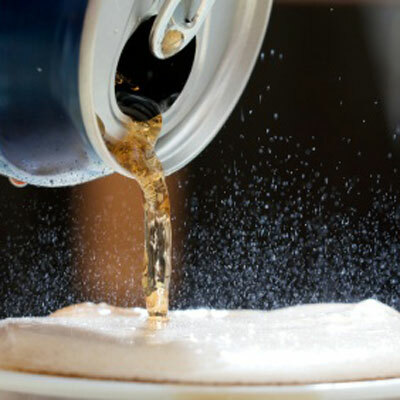 In a recent survey called Caffeine Consumption in Young Children, Dr. William Warzak and colleagues from the University of Nebraska Medical Center found that kids as young as 5 drink the caffeine-equivalent of a can of cola a day, while kids 8 to 12 consumed 109 mg of caffeine a day, the amount in nearly three 12-ounce cans of soda! As a father of a 7 and 13 year old, I believe caffeine consumption among kids is a looming public health crisis. One of the reasons parents aren’t up in arms about this trend is that caffeine has gotten so much good press lately. Studies suggest it boosts weight loss and can enhance memory and focus. Coffee and tea are also rich in antioxidants, with possible anti-cancer and cardio-protective properties. But that’s in adults (though as a doctor, I’m not convinced; I suspect caffeine may contribute to my patients’ cardiac problems, addiction, obesity, insomnia, and digestive disorders). Caffeine has no nutritional or other food value. It is a psychoactive stimulant that affects brain chemistry. It can disrupt neural development and may lead to abnormalities in behavior and socialization. Caffeine can cause physical dependence. If your kid is hooked and tries to kick the habit, he or she may experience full-blown withdrawal symptoms for up to 10 days, including headache, sleepiness or insomnia, irritability, lethargy, constipation, and/or depression. Caffeine products are often loaded with sugar. Caffeine naturally tastes bitter and sugar is added to make it palatable to your kids. Not only is sugar a source of empty calories that can lead to overweight and obesity, the combination can trigger addiction and/or dependence through different pathways. Caffeine does not boost energy levels in kids. It impedes the perception of fatigue by stimulating brain arousal and vigilance, which can lead to unruly or even dangerous behaviors. There is no safe or recommended level of caffeine for kids. In fact, caffeinated energy drinks should eliminated from children’s diets, according to the American Academy of Pediatrics. Caffeine can trigger insomnia. Kids slug caffeinated products like energy drinks thinking they will ‘boost energy and performance’ at school and on the athletic field. Truth is, caffeine worsens performance due to fatigue! In one study, 90% of middle and high school students sampled reported getting less than 8 hours of sleep on average each night, with caffeine consumption being the number one culprit. Caffeine consumption can cause hospitalizations or even death. The number of annual hospital visits involving caffeinated sports and energy drinks doubled from 2007 to 2011. The federal Food and Drug Administration is investigating 13 deaths tied to 5-Hour Energy Drink and five deaths linked to Monster Energy Drinks. As parents, my wife and I have sought to educate ourselves and our kids on the risks of using caffeine too early in life. When food shopping, we avoid buying caffeinated products. Flavored seltzer water—no added sugar—has become a favorite in our family. We don’t let the boys drink tea or coffee yet. As a doctor, I strongly suggest you moderate the caffeine consumption of your kids, if not eliminate it from their daily diets completely. Read labels like a hawk (and if “caffeine” is on the ingredient list put it back). Your kids will be better off if they don’t belong to Generation C.
Jonathan Whiteson, MD, is an assistant professor and director of cardiopulmonary rehab at the NYU Langone Medical Center in New York. Can I Drink Too Much Caffeine?